In 2002, Boots sold Halfords to CVC for £427m. 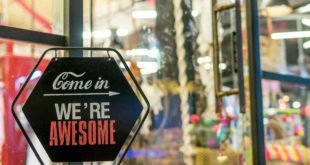 The 397-store auto-to-cycles retailer is now expected to float within the next three weeks and City investors are expecting the prospectus to value the company at about £800m because of a surge in sales in 2003. This surge was due to the exceptional weather rather than any radical innovations by Halfords but CVC could pocket £400m and the execs who squeezed extra margin out of bike suppliers could share a £50m windfall. Halfords does not participate in the industry-wide Bike Hub levy scheme but may find it expedient to join once out of private hands and floated on the stock exchange. CVC is expected to float Halfords next month. Earlier this year, CVC appointed Merrill Lynch and Citigroup to advise on the flotation. In the year to March 2002, Halfords had a turnover of £592m and operating profits of £54.3m. Sales were much stronger last year, just as they were strong at bike shops across the UK, all thanks to nine months of almost non-stop glorious weather. 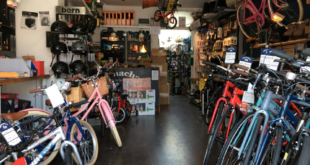 Despite bumper profits, CVC-appointed execs decided last year that Halfords should not be part of the Bike Hub levy scheme, a Bicycle Association initiative that is raising money to fund a ‘schools and skills’ cycling pilot scheme with Sustrans. The Bike Hub levy is also part-paying for a marketing programme for cycling. When, last year, the British bicycle industry decided to launch the levy scheme, the Department for Transport unlocked its coffers to boost the promotion of cycling. In the run-up to the 2000 launch of the 5000-mile National Cycle Network, Halfords was part of the previous industry levy scheme. But that was when the chain was owned by Boots. In private hands, the chain has not been so community-minded. However, this is expected to change when Halfords shares are traded publically. Halfords’ decision not to be part of the industry-wide, pro-bicycle Bike Hub initiative will soon be seen as a profit-impacting negative by Halfords execs: Halfords is not being promoted on the soon-to-be-launched bicycle portal, bikeforall.net, a website run by the National Cycling Strategy Board and the Department for Transport. Halfords will not be allowed to stage any ‘official’ Bike Week events and Halfords stores are not being invited to be involved with the Sustrans-organised ‘schools and skills’ pilot schemes soon to kick off around the UK. Halfords will soon receive a ‘why aren’t you part of Bike Hub?’ letter from transport minister Dr Kim Howells.